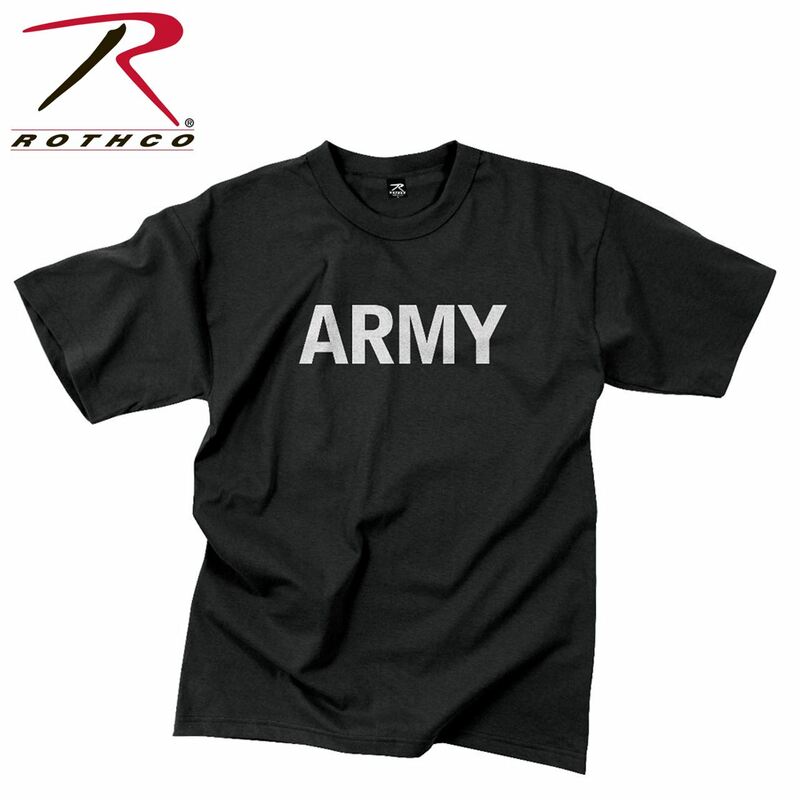 Rothco's ARMY reflective Grey lettering on a black physical training T-Shirt is constructed from poly/cotton material. This P/T T-shirt features a tagless label. 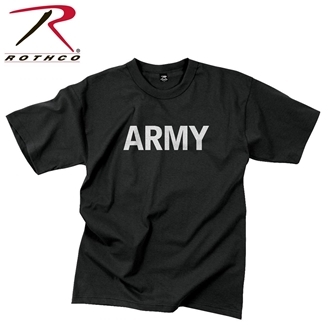 Great for training, workouts or as an everyday shirt.